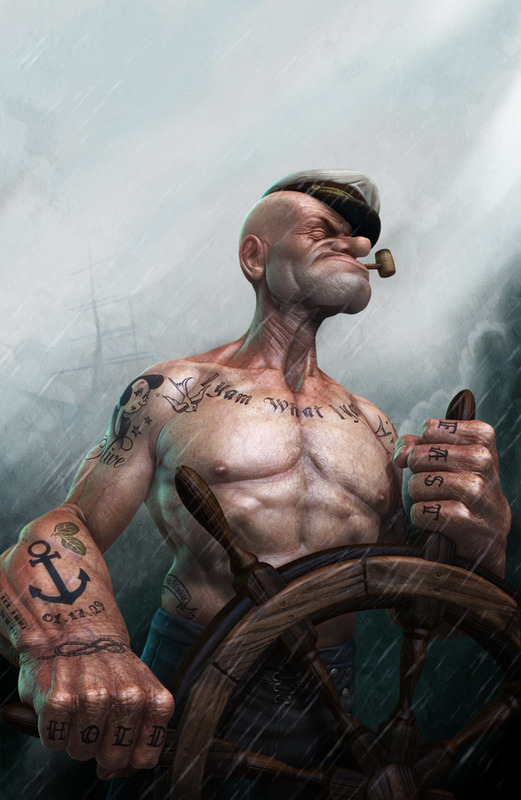 LeeRamao's 3D Popeye brings the iconic sailor to life and gives the retro cartoon character a toned physique. 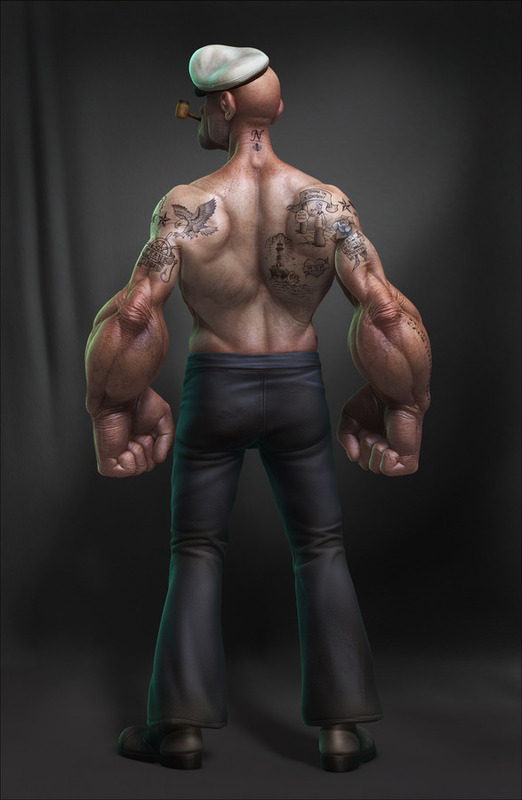 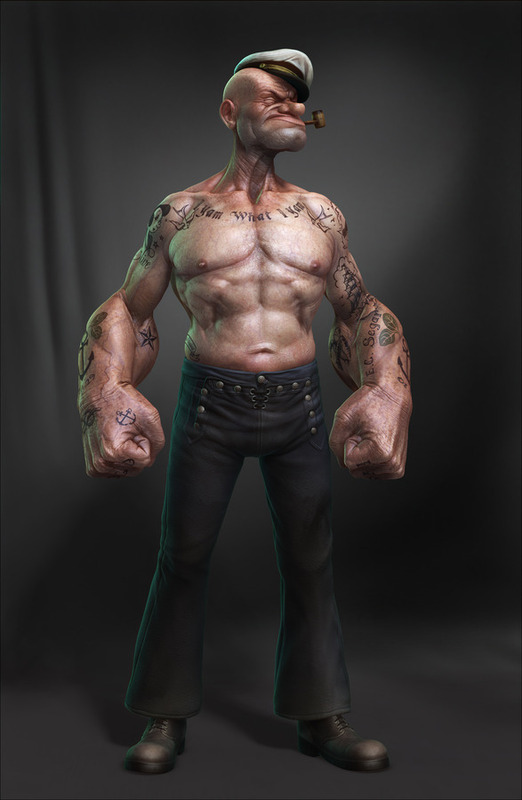 The character has been created with extreme attention and gives an idea of how Popeye would look if he were a real person. 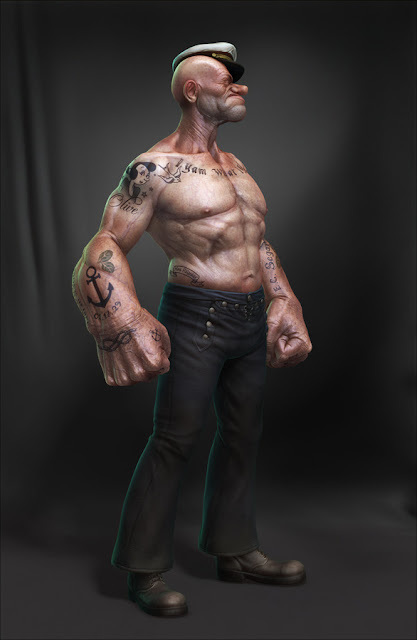 With a toned body that embodies tattoos of his love Olive Oyl, his favourite diet spinach and an anchor with a date that represents Popeye's debut, LeeRamao's 3D version is tougher and stronger.